The Flinders Ranges never leaves an adventurer unsatisfied. Dusty red roads bordered by towering granite peaks, an ancient landscape full of stories to tell. On the outskirts of this beautiful ancient landscape you'll find quaint country towns with food, art and culture unparalleled by anywhere else in the country. Amy Green perfectly sums up a visit to our amazing region. Read the full article here. 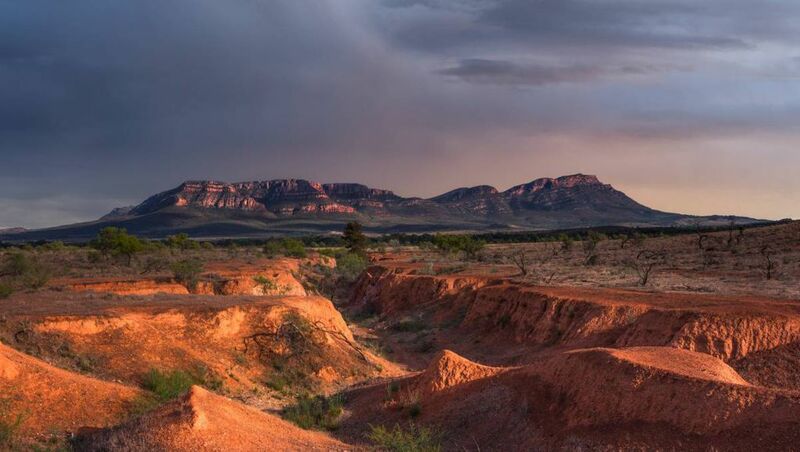 You can stay at Wilpena Pound Resort in the Ikara-Flinders Ranges National Park.